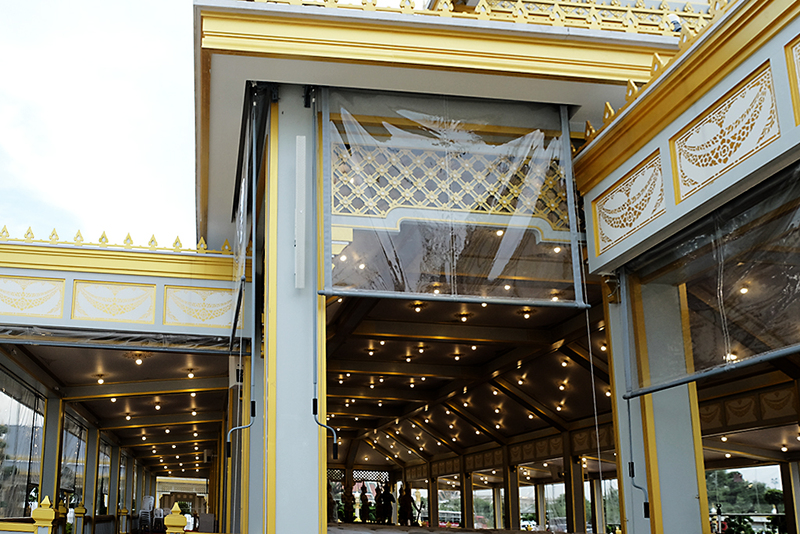 One year after the passing of Thailand's monarch, King Bhumibol, his cremation was to be carried out in a magnificent and respectful ceremony according to ancient traditions. The crematorium site spans more than eight hectares - the equivalent of more than 10 football pitches - located next to the Grand Palace in Bangkok. 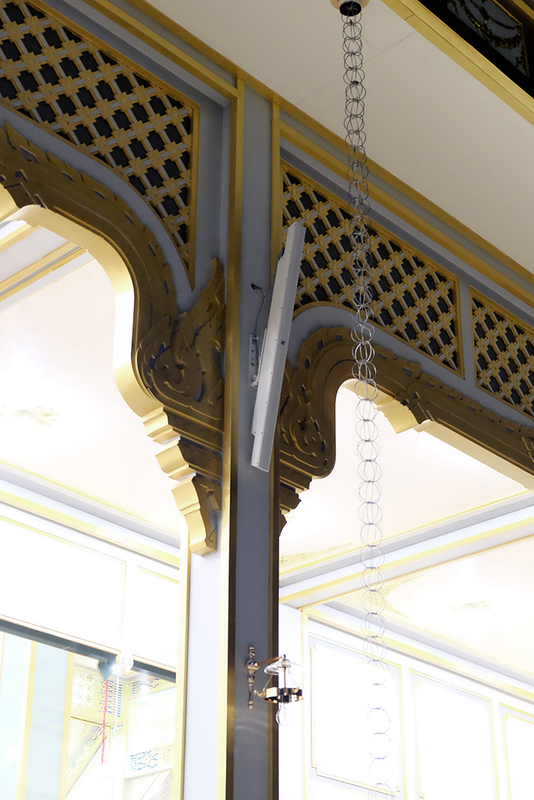 Given the importance of prayer and song, the government's project inspector, Srimuang Jusntasri asked for three basic requirements of the audio: the sound equipment must perfectly blend in with the structures on site, if visible at all, must be heard everywhere at all times and must sound perfect. The most important and visible structure was the Phra Merumas (Royal Crematorium), a heavily-decorated golden structure with nine spires, the tallest at more than 50m of which housed the cremation pyre itself. As very few people set foot in it, high-output audio wasn't needed, yet seamless integration was making the ultra-flat, gold-plated Vyper-KV52 and gold-plated mini Lyzard-KZ12 line array elements perfect for the installation. Additional Vyper-KV50W line arrays provided in-fill near the entrance. Outside, at columns supporting the roof of the Royal Merit-Making Pavilion, as well as on walls of other pavilions facing the crematorium, Kobra-KK102 line arrays in white were installed to cover the area. "These speakers are the best fit for this environment," explained Tony Puytrakool from Vision One distributors. "They were instantly accepted by the government's public relations department and fine art department; they are weather-resistant, have the right dispersion and reproduce the sound sources exceptionally." In such environments, we do not want to see equipment like lighting fixtures or loudspeakers, if possible. These gold-plated units, however, are an acceptable solution thanks to the matching of the surrounding surfaces.